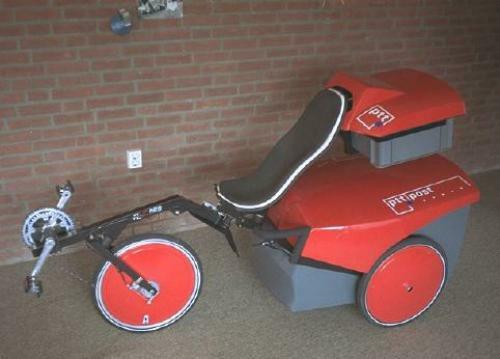 A prototype of a trike as it could be used by postmen. The rear frame goes around the boot, just the way Erik Wannee did with his trike. This trike was not taken in production. 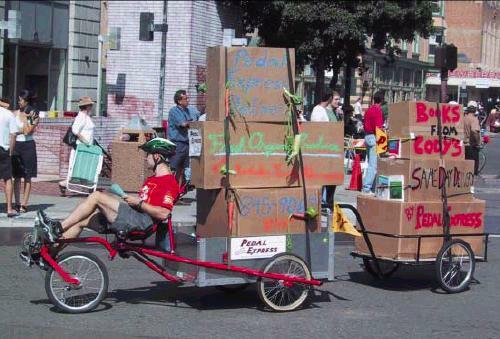 The Tri-Hauler from 'Human Powered Machines'. This trike can be ordered in two versions: 1/6 ton and 1/3 ton. (As you can see, that load can increase even more if you add a trailer.) Note: the fact that the riding is hands free makes it easy to read town maps or customer lists.